Versa Note in an Amazon Box? Yep. Versa Note in an Amazon Box. There are few joys greater in life than coming home from a long day’s work to discover a trusty brown Amazon box on your front stoop, (literally) smiling up at you with the promise of spoils inside. Perhaps it’s that book you’ve been dying to read or that Kindle Fire HDX that you’ve been saving up for. 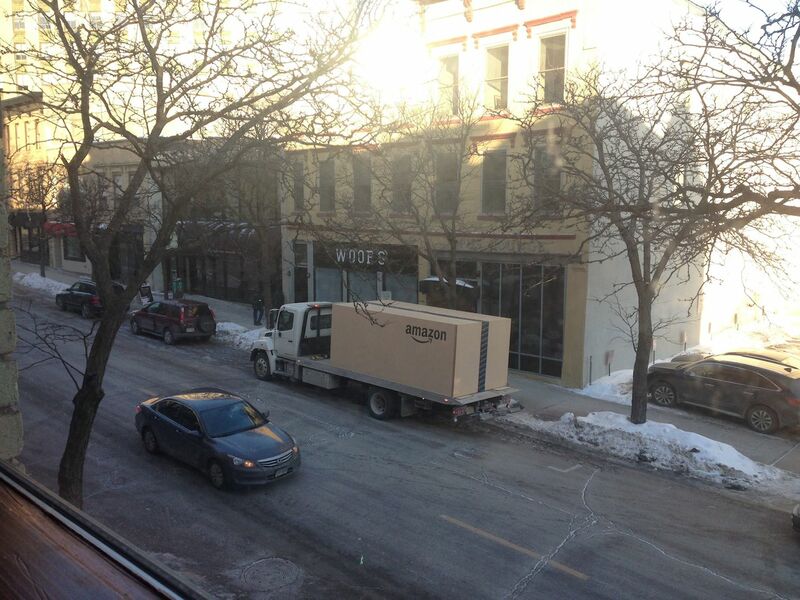 Or, in some rare cases, perhaps your Amazon box doesn’t even sit on a stoop; it might just be sitting on a flatbed truck in the streets of Madison, Wisconsin. If this is the case, it is because your enormous Amazon box in fact holds an all-new 2014 Nissan Versa Note. 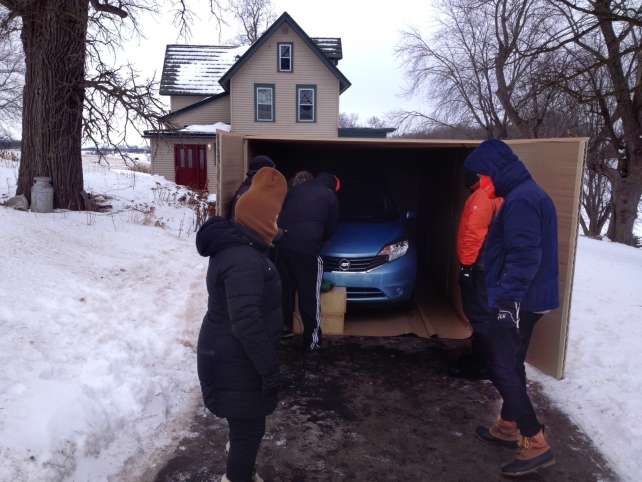 The Versa Note in an Amazon box was actually foretold by a September Automotive News article that mentioned a promotion where three buyers would “receive their cars packaged in giant Amazon.com boxes, with video crews on hand to film the deliveries.” Nissan more than definitely delivered on their promise to deliver said box when a picture posted by Reddit user “listrophy” went viral on Monday. Amazon’s Kristin Schaefer Mariani confirmed the box’s authenticity to Re/code, saying, “[I]t’s Nissan delivering a Versa Note, the final component of the advertising program we worked with them on late last year.” Spoilers! Marx alluded to the fact that there may be two more such instances of a Versa Note in an Amazon box in the future. We want to know: would you consider ordering your next car from Amazon? Would having your vehicle delivered by a super-awesome and not-at-all frightening drone carrier (we’re calling it the Bezosepticon) sweeten the pot any?